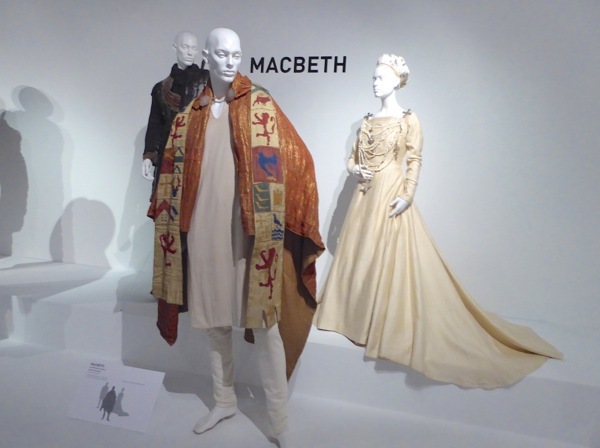 Just like literary classics Jane Eyre and Pride and Prejudice, William Shakespeare's tragic play Macbeth has been made for the big and small screen many times. 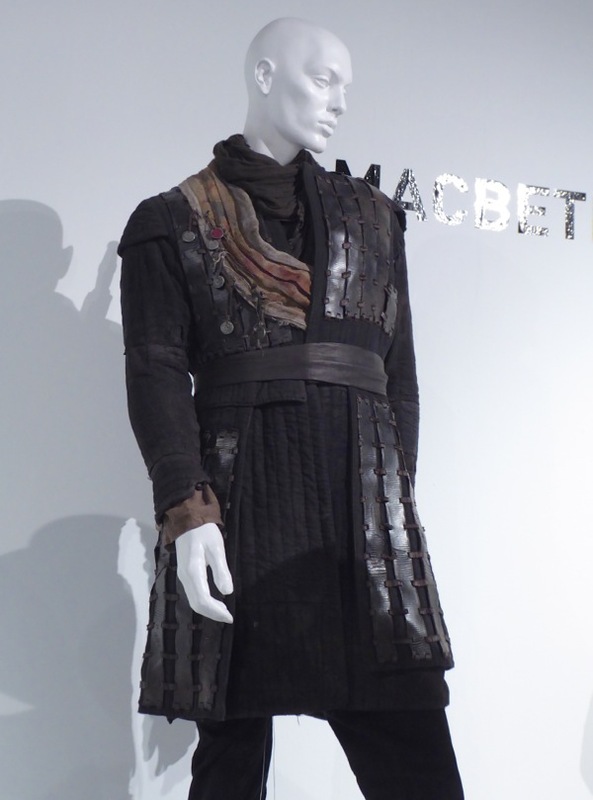 This 2015 cinematic version starred Michael Fassbender as the titular Thane of Glamis and Marion Cotillard played his scheming wife, 'Lady Macbeth'. 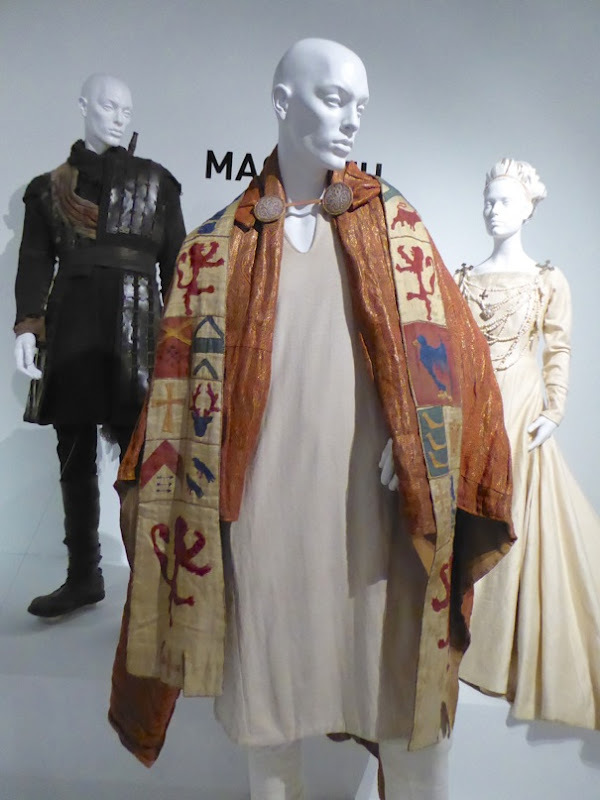 These original costumes from the movie adaptation were photographed on display at the FIDM Museum in Downtown L.A. on February 12, 2016. 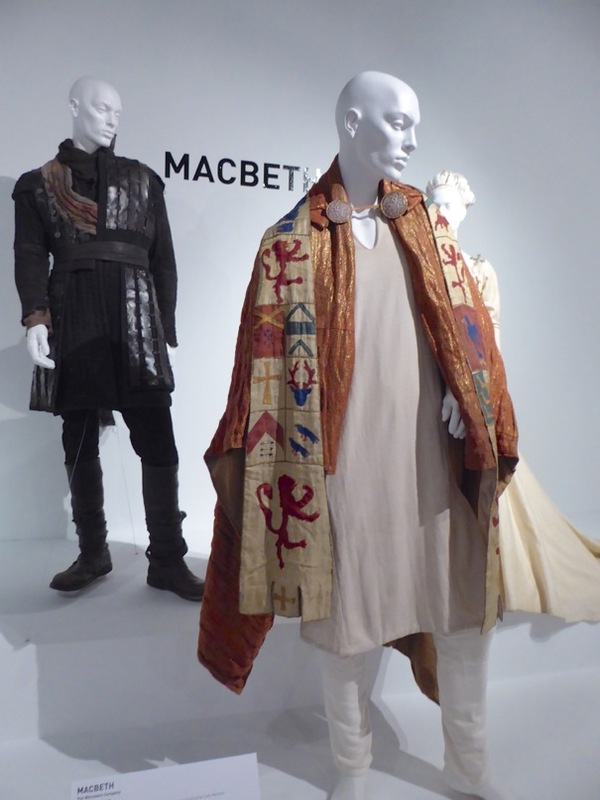 Jacqueline Durran is responsible for designing these dramatic costumes for the infamous story set in mid-11th century Scotland. 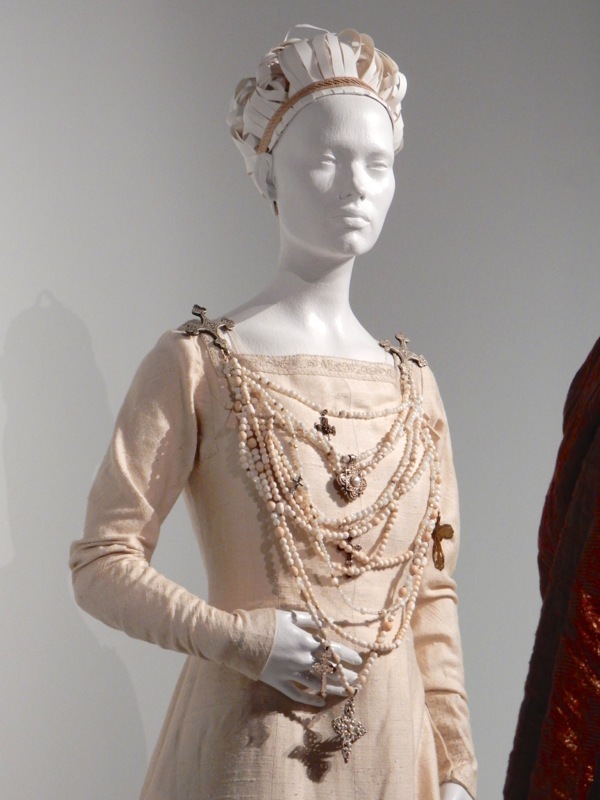 You can also enjoy her work in these Oscar-winning costumes from 2012's Anna Karenina and these Tinker Tailor Soldier Spy film costumes. 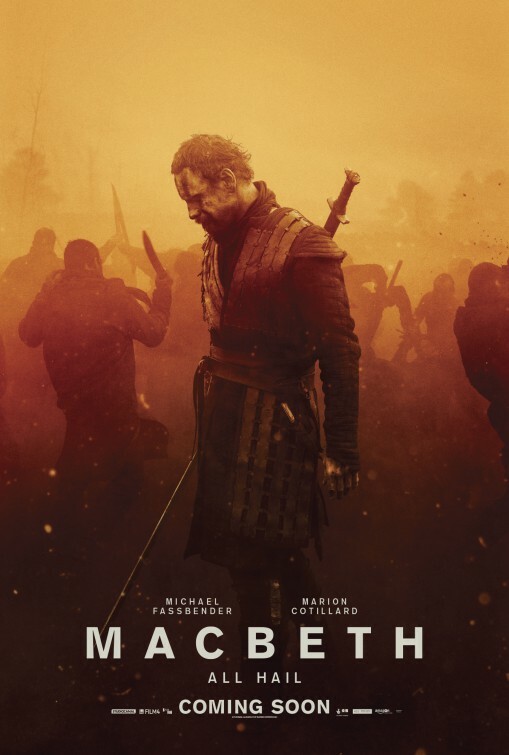 In the film Michael Fassbender plays the ambitious Scottish nobleman who kills his liege, 'King Duncan', to claim the throne. 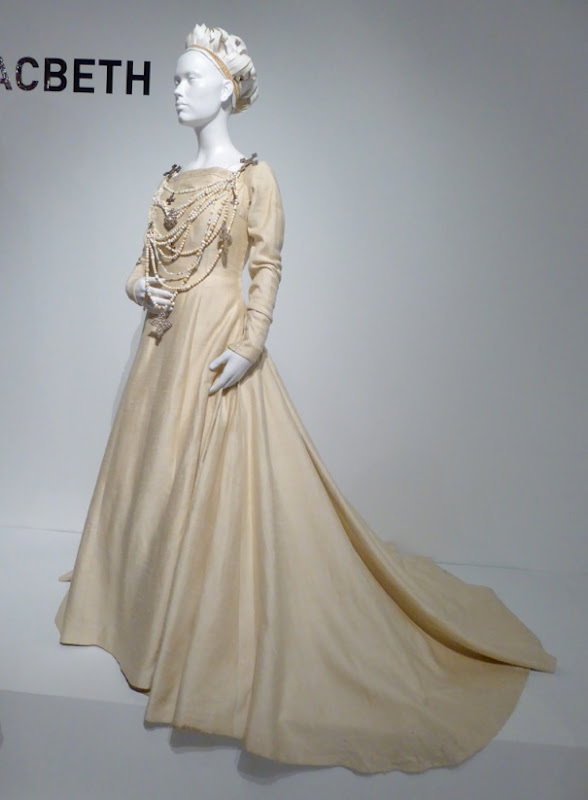 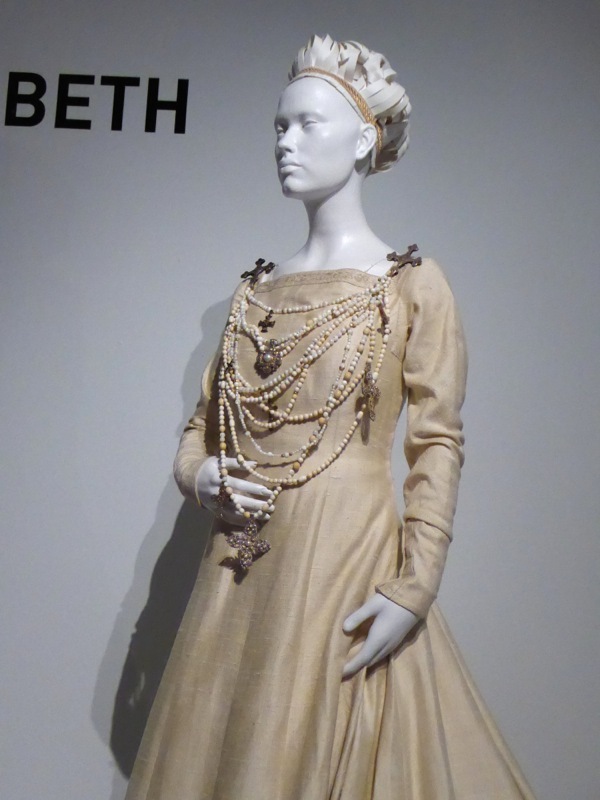 If you're a fan of the actor, be sure to also check out these movie costumes from The Counselor and these film costumes from 2011's Jane Eyre. 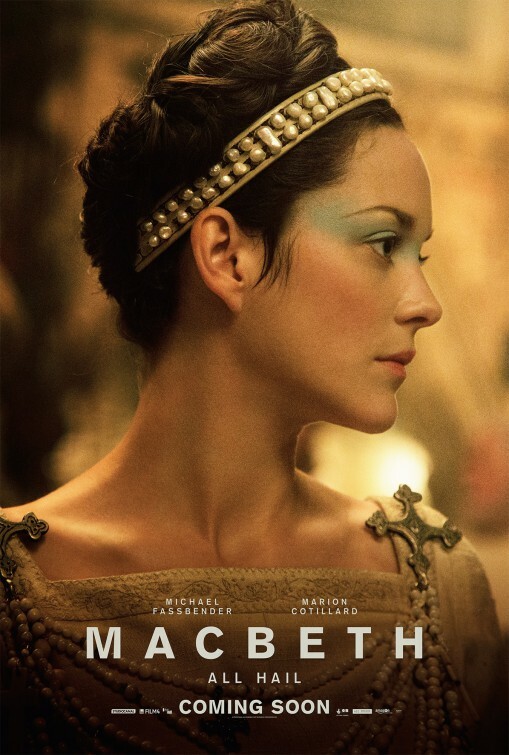 Marion Cotillard plays the manipulative 'Lady Macbeth' and wears this theatrical gown. 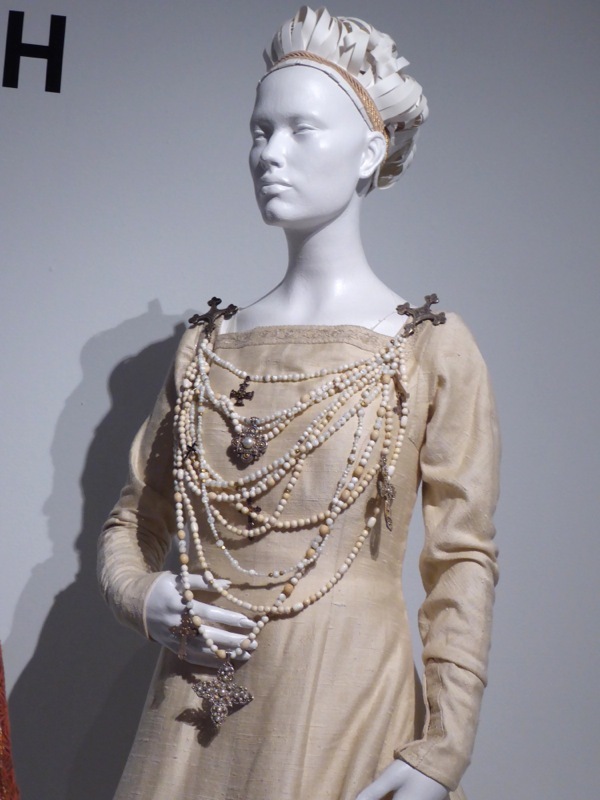 Admirers of the French actress can also take a closer look at her costumes from Inception and this 1930s style costume from Public Enemies. 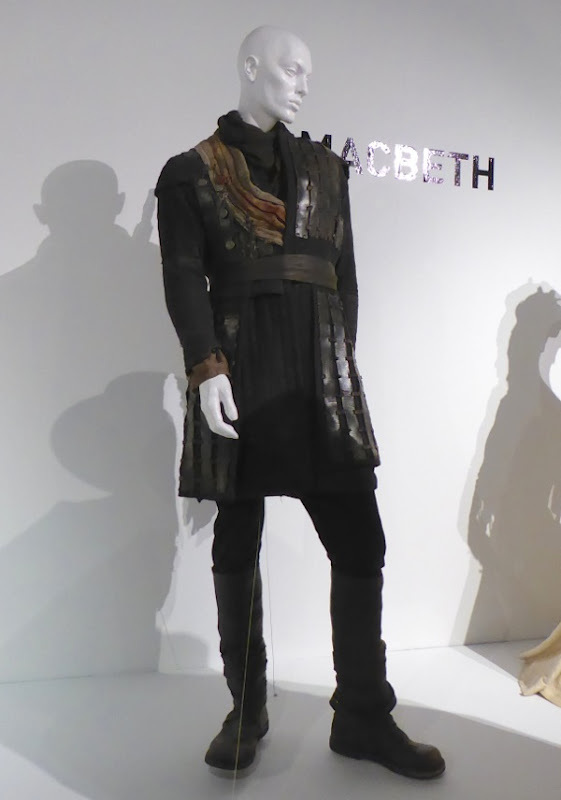 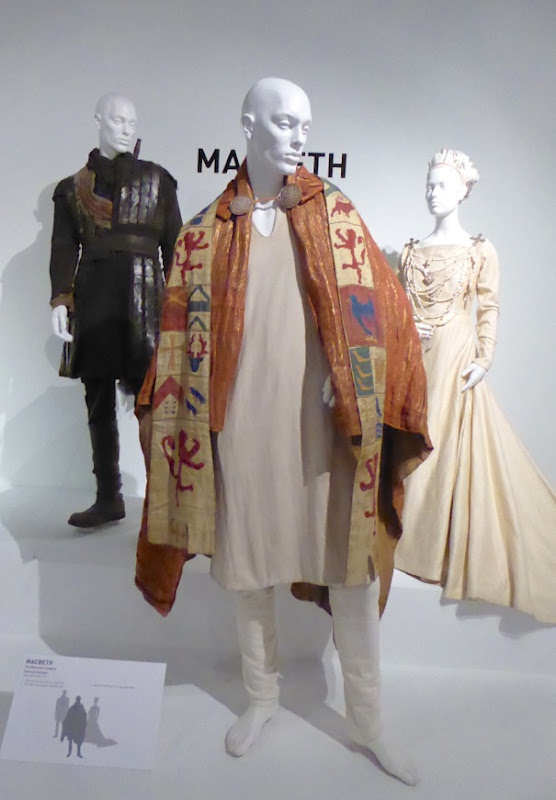 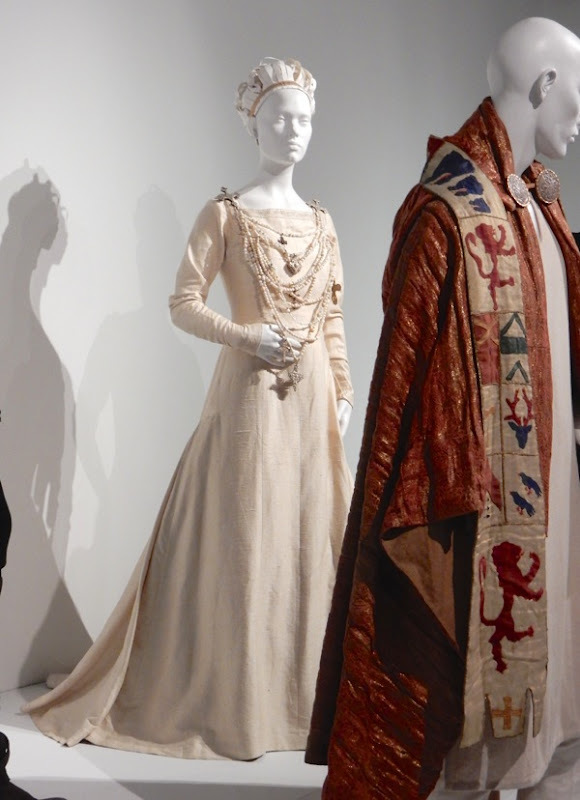 Meanwhile if you're a fan of Shakespeare, you can also enjoy these movie costumes from 2010's The Tempest on display. 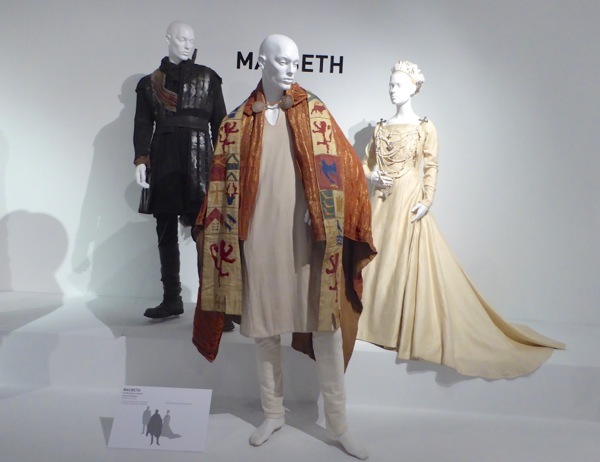 There's still time to enjoy all these fantastic costumes in person if you live in the L.A. area, as the annual motion picture costume design exhibition is open to the public for free until the end of April 2016.